Traditional English Leather Satchels with a twist! Fashion is all about trends. Everything from styles, cuts, shapes, inspirations and especially colors. Designers all around the world look to the standarized color system Pantone to set the mood for color trends for the upcoming seasons. For 2012, Tangerine was the color of the year so the color report would work around that specific color to create a varied palette of colors to serve as inspiration for designers of all kinds. 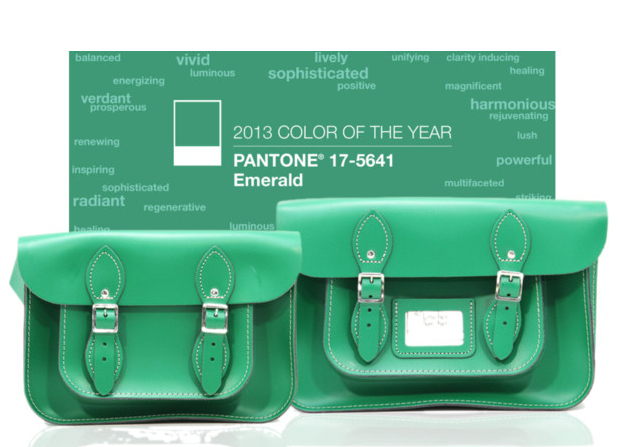 For 2013, Pantone has named Emerald, or 17-561, as the color of the year. The trend report for this upcoming Spring 2013 season has the cheerfulness of colors like Poppy, Nectarine, Monaco Blue, Lemon Zest, Linen, Bamboo Shoots, Dusk Blue, Grayed Jade and African Violet to compliment the vivid Emerald. What an incredibly fun palette for spring, right? What we love about this color is the freshness and radiance of it. The versatility it brings is elegant and chock full of energy. We definitely see this color transcending beyond spring and carrying its way on to fall. Wear it how you may, this color is sure to brighten any daytime or night-time outfit. We bring to you our Sherwood Green satchels. With the vivacity of the beautiful emerald color, these satchels quickly became one of our favorites. It’s just right up our alley with a lovely balance between classic and a pinch of quirk yet still elegant enough for the hard cookies around. Let’s celebrate the new Pantone Color of the Year and show our emerald love! A brief history on the satchel shows us how the most original and practical styles can last centuries. With all the buzz that’s been going around for the past few years on satchels, it’s pretty easy to get a bit overwhelmed. Where did this trend come from and how did it re-emerge? Is it here to stay or leave in just a matter of time? You would be surprised at how long this particular accessory has been around for and how it has become a staple in every fashionista’s handbag stash. Let’s go all the way back to the Romans. Yes, the Romans! Today’s fashions have surprising beginnings They used little leather bags called Loculus which were highly practical. Loculus is a Latin word literally meaning little place and was used in a number of senses including to indicate a satchel. Satchels were carried by Roman legionaries, as a part of their luggage. The loculus is thought to have measured about 45 by 30 centimetres (18 by 12 in) and was likely made from leather. It is just the right size to be made in one piece from a single goat hide although calf leather is also possible. The loculus was probably used to store rations and a legionary’s personal effects. 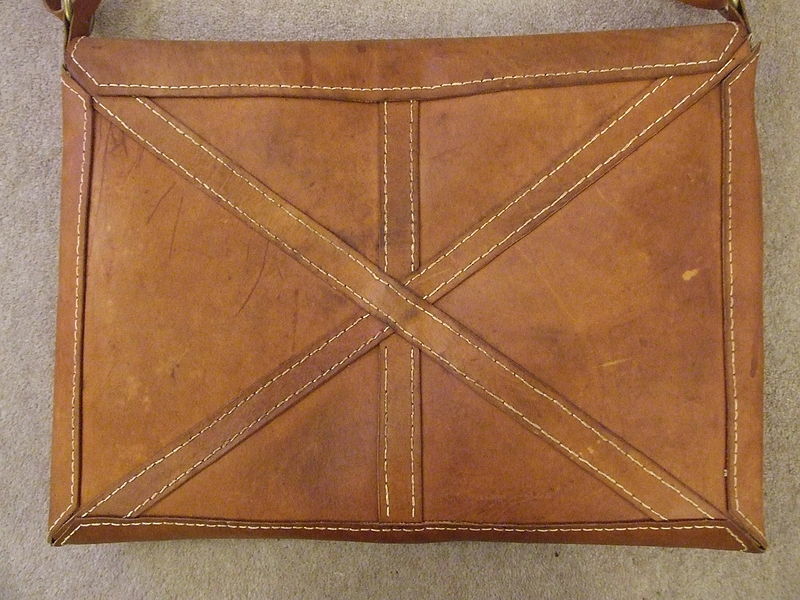 As you can tell from the history leather satchels have been around for quite some time. Now we can jump in our time machine all the way to the seventeenth century where they re-emerged for the same reasons. The sturdy nature of the bag was perfect for everyday usage. Now, these bags hadn’t fully faded away. Sporadically from time to time they have re-emerged. But nothing like the unexpected boom that a fashion statement does that has given them the most popularity to date. These bags have probably laid low under the fashion radar because honestly, it hasn’t been until recently that these bags have had an huge impact on pop culture. Traditional companies have been constantly producing well made satchels ever since their appearance on culture. These bags are so well known for this purpose, but they also stand up on their own because of how their design has evolved from something simply practical to something that even the most elegant person can accent their outfit. 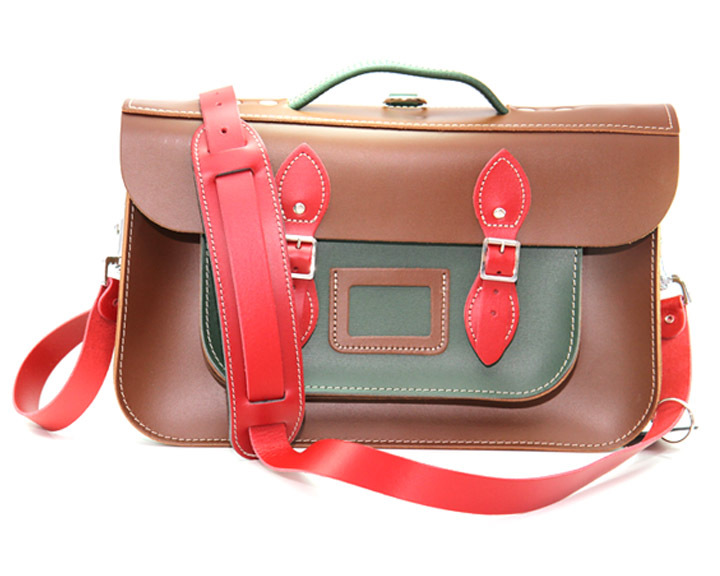 Heritage company The Leather Satchel Co. Has been making artisan hand crafted satchels ever since the late sixties. These bags carry a very british spirit to them. Most recently they have taken a more modern twist whilst staying true to its practical British satchel design. Aimed at school children, as used by the Hogwarts in the Harry Potter movies since 2001, no school kid would be caught without a virtually indestructable satchel for carrying all their school supplies. Fast forward to circa 2006 and you will find what we have adopted as the modern satchel. It is this same Harry Potter film, and necessity, which inspired a working mom of two to search high and low for British leather craftsmen to relaunch the most classic bag of all times, and it wasn’t until Elle UK’s Accessories Director Ms. Donna Wallace requested a neon-hued satchels for a photo shoot editorial for the fashion magazine, that the satchel craze really took off, and the rest, as they say, is history. Even luxury British fashion brand Mulberry, after spotting actress and high profile celebrity Alexa Chung sporting a vintage satchel,got inspired to create the “Alexa” bag. Newer companies started producing more different variations of the leather satchel. Every one from high fashion designers like Proenza Schouler and their PS1 to high street brands, like Steve Madden, have re-made the satchel in countless ways. 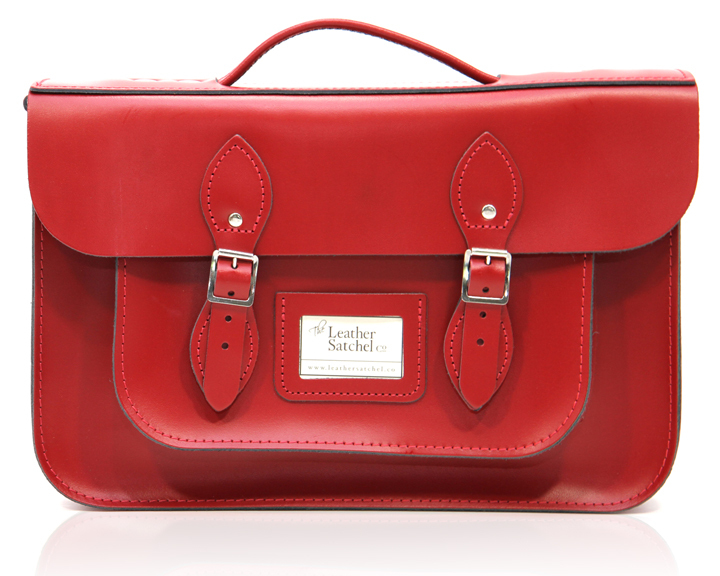 Other companies like Zatchels developed the classic satchel but with printed leather. This immediately set off the current satchel craze that we know of today. Whether your personal preference is vintage and classic chestnut or you prefer bright, contemporary and outstanding, satchels today cater to everyone’s tastes. Numerous satchel companies have been bringing this timeless classic to everyone’s hands in numerous colors like pastels, neons, metallics, classic shades, prints and different sizes and new features. Regardless of which style you choose, you can rest assured that choosing a satchel is the right investment. As versatile as this bag is and how many different ways you can style it or use it, you will be getting your money’s worth. And if you thought the satchel craze was nearly over, it’s far from it! The spring 2013 runways were jam packed with them. Designers like Chris Benz, and the likes, showed off their satchel love in New York Fashion Week. The satchel is apparently here to stay so it’s time we all embrace it and enjoy it! 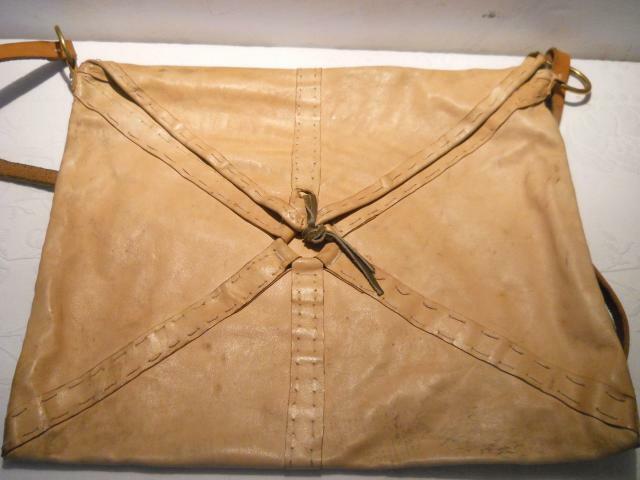 Funny thing we notice now though is that females, are becoming the bulk of the satchel fan base while it was the men who used this practical bag back in Roman times. That takes us to our blog entry about men and their satchels. Satchel Co all rights reserved.